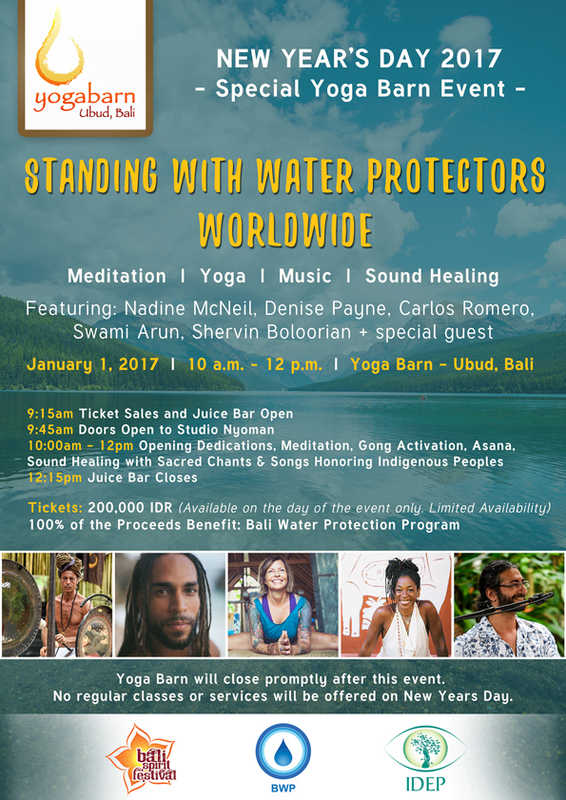 "From its inception, The Yoga Barn was founded with an intention to give back and create community. Compassion in action is the focal point of everything we do at The Yoga Barn." Ultimately, yoga is a practice of self-inquiry. It teaches us to look inwards and question the values that we hold in the center of our being: who are we and what is our life purpose? For people on this path of self-discovery in Bali, The Yoga Barn fulfills and facilitates that journey through yoga, dance, meditation, detox and various wellness treatments. Our hope is that people who visit The Yoga Barn will resonate with the community ambience we have created and are inspired to give back and enhance their communities when they return home. We do not take our good fortune for granted, we appreciate the Balinese community in which we live and feel so grateful to have this beautiful space in Ubud, Bali. We feel called to give back to our local community and to the world as a whole. Community is an intrinsic part for anyone who finds themselves on the yogic path. We realize the need to protect our planet and to take advantage of the gifts we have been given, to work towards being of service to others. 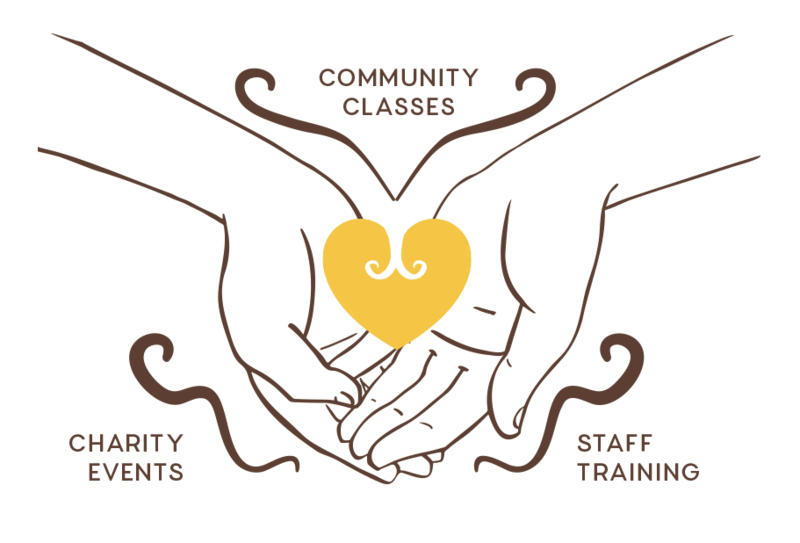 We give back to our community here in Bali through daily free ‘community classes’, charity fundraising events and health education and free daily yoga classes for staff. 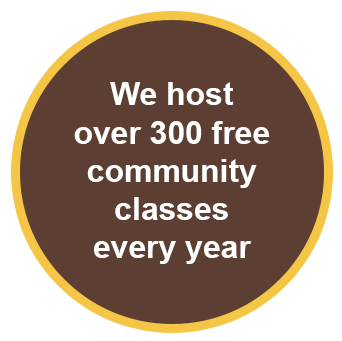 Every day we have one-hour free classes for the community which is our way of saying thank you! Classes include yoga, meditation and lectures on health, astrology or spirituality. Health Satsang Talks – These discussions focus around nutrition and mindfulness and provide an interactive community space to inspire and learn more about our health. Astrology Talks – Here we discuss and interpret the stars influence on our mind, our relationships and our career. These talks teach us how to make decisions in line with our higher purpose. Heart Talks – These empowering heart talks help us to understand and explore how we connect and love one another and ourselves. 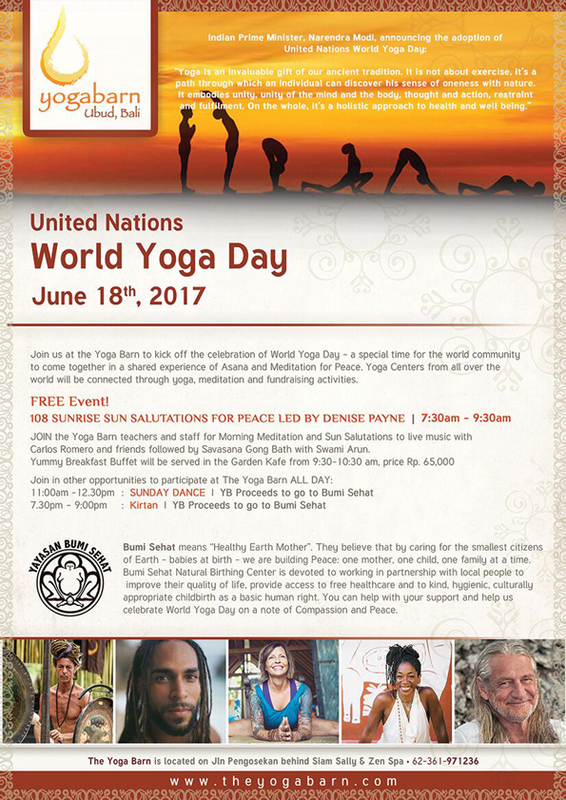 Yoga (Bahasa Indonesia language) – These are yoga asana classes in Bahasa Indonesia for our local Indoneisan community. See the schedule for this month’s community classes. Sign up for our monthly newsletter to learn about our upcoming charity events and other important updates. We have various programs and education schemes that we provide for the wellbeing of our staff at The Yoga Barn. These include mosquito eradication programs, recycling information, daily staff yoga classes and diabetes screening and awareness seminars. Bali has many challenges that most people visiting the island might not be aware of. These include: high levels of trash and plastic waste, areas of low rainfall and limited water supplies, the endemic of HIV & AIDS amongst young people and high mortality rates for mothers giving birth. I Made Gunarta and Meghan Pappenhem, both co-founders of The Yoga Barn, have also launched two charity outreach programs: AYO! Kita Bicara HIV & AIDS (Hey! Let’s talk about HIV & AIDS) – an HIV & AIDS awareness and education program and Bali ReGreen – a bamboo reforestation program. Bali Regreen is a sustainable environmental project which aims to fight land degradation in Bali’s driest areas whilst also educating and training the people who inhabit the land. 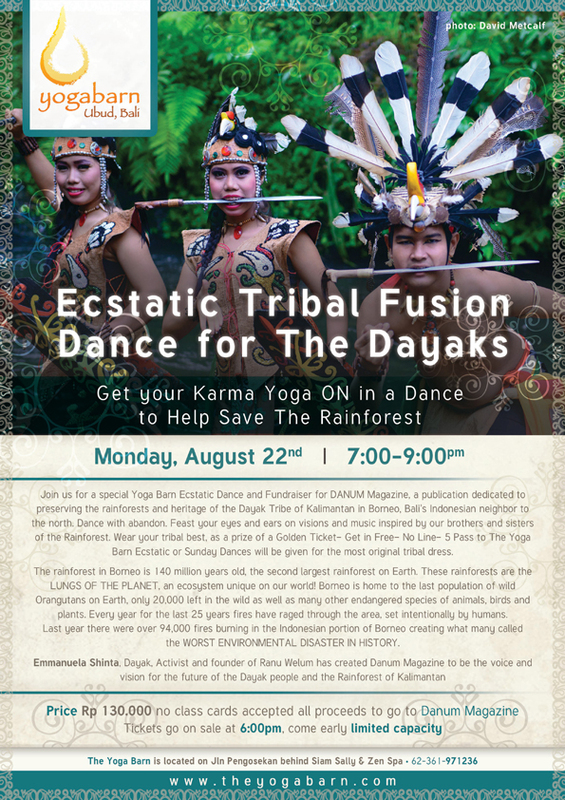 It is an exciting project supported by BaliSpirit Festival, Yayasan Kryasta Guna and the Environmental Bamboo Foundation to help the poorest communities in North East Bali and provide long term economic and ecological benefits. TRI is dedicated to supporting indigenous-led causes, especially raising international awareness about deforestation and supporting those fighting deforestation in Indonesia. TRI raise money for these causes by making and selling hankerchiefs from recycled fabrics. 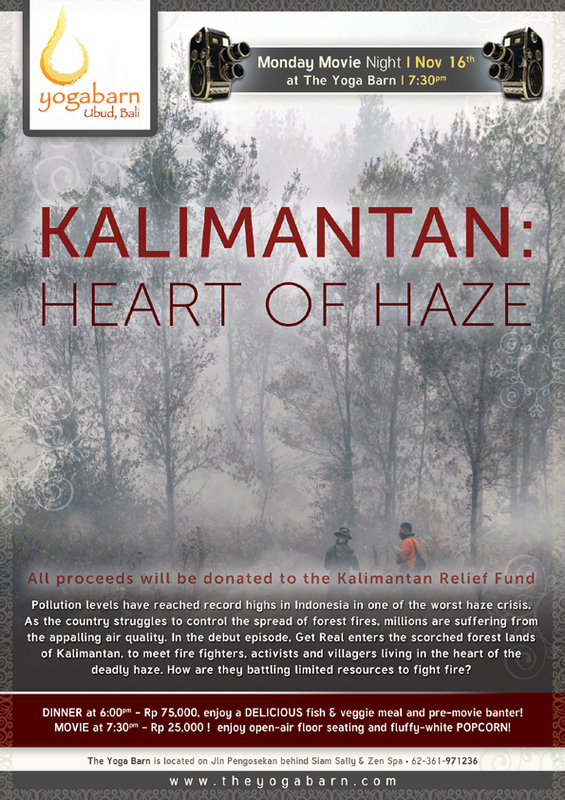 This program was founded in response to the devastating fires across the rainforests in Borneo which destroyed almost half of the 50-million-year-old rainforests in Kalimantan. 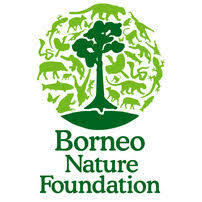 Ransel Buku is an eco-literacy program that provides books to remote villages in Borneo and The Yoga Barn supports it through a monthly donation to cover a teacher’s salary at the center. 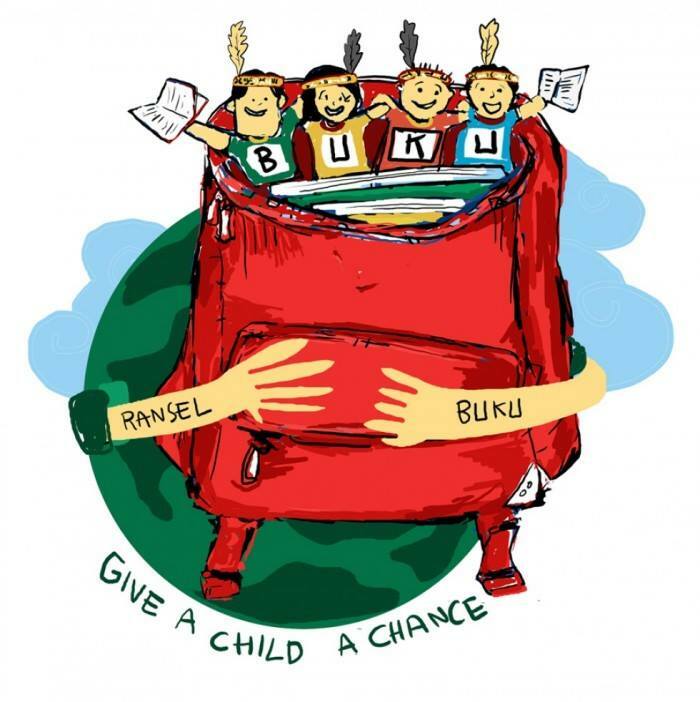 In partnership with Ransel Buku is Ranu Welum Media which is a group of young Dayak people supporting indigenous human rights, spreading awareness and trying to stop the fires from burning Kalimantan’s forests. 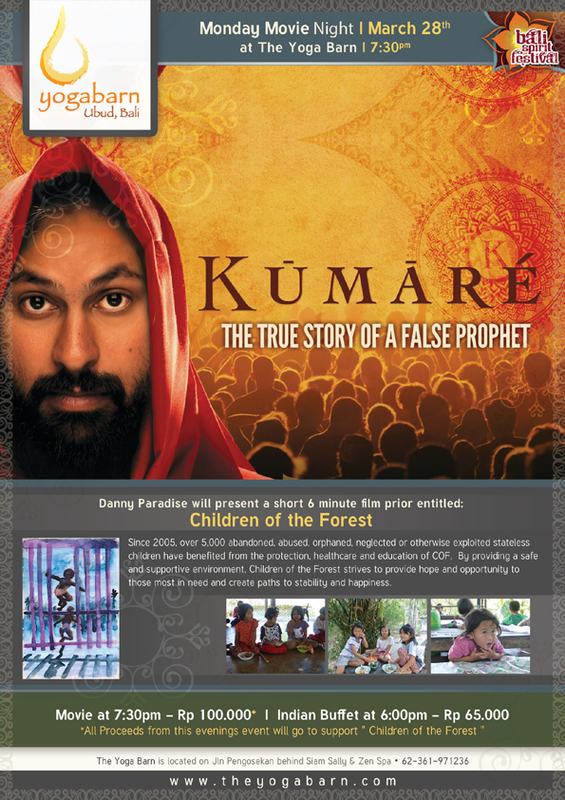 The Yoga Barn assisted in raising funds and awareness for outreach programs OuTrop and Kopernick to aid relief efforts in the burning rainforest of Borneo in 2015, one of the worst environmental disasters in human history. Bali Water Protection is a crucial initiative and part of IDEP, an Indonesian NGO based in Bali. BWP works on reducing the water crisis in Bali caused by overpopulation, over-extraction of ground water and climate change. BWP works to build sustainable wells to recharge the ground water and work with the government and communities to change water regulation. AYO! was created in 2010 in response to the critical need for HIV & AIDS education in Bali. As of December 2016, Bali has over 9,000 recorded cases of HIV and almost 7,000 recorded cases of AIDS and hundreds more who live unaware that they have HIV. The AYO! program empowers teenagers to guard their own physical and emotional health and act with empathy towards others within their community living with HIV. AYO! 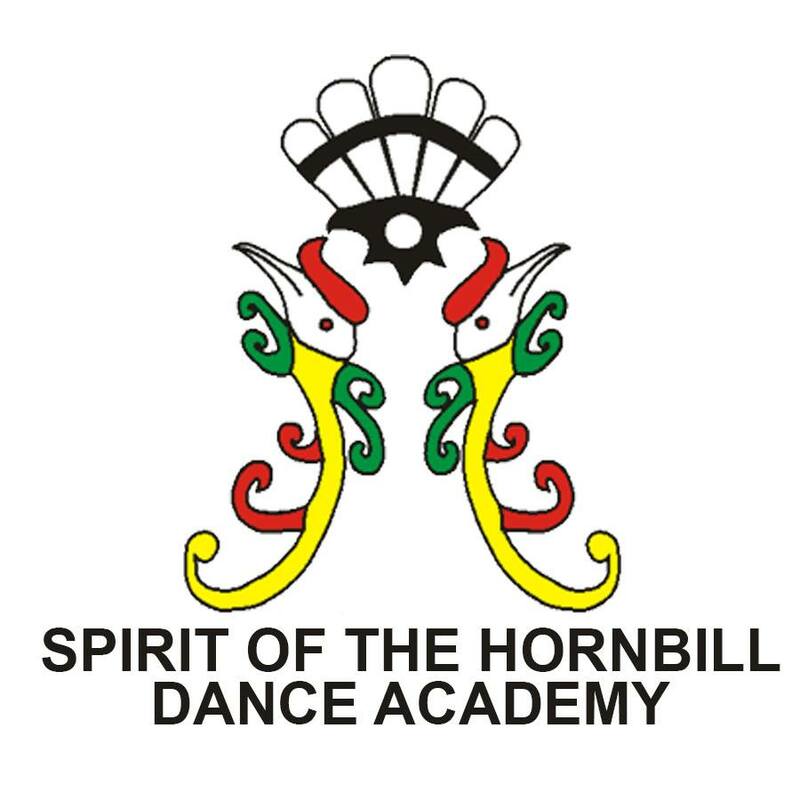 has held over 6,000 workshops and is supported by the Ministry of Education, to take EduSpirit workshops beyond Bali. Bumi Sehat means Healthy Earth Mother, and is a community health education and natural birthing center which has saved and assisted thousands of mothers and babies in pregnancy and childbirth for over 20 years. It was founded by midwife, long time Ubud resident and CNN hero of the year 2011, Ibu Robin Lim, who operates two centers – one in Bali and another in post-tsunami Aceh, Indonesia. Bumi Sehat’s mission is to provide free access to quality healthcare to families and a safe and hygienic childbirth to traditionally under-represented populations. The School of Sacred Arts hold 200-hour Yoga Alliance approved yoga teacher trainings at The Yoga Barn twice each year, and offer scholarships for qualified Indonesian applicants who wish to become certified as yoga teachers in a professional program with international standards. To date, SOSA has graduated 7 Indonesian teachers, all of whom are now teaching throughout the island. In this way, SOSA is generously giving back to the island that hosts its program. Well done SOSA!